What happened around Harrisburg last week? Here’s a summary of news and happenings that you may have missed. 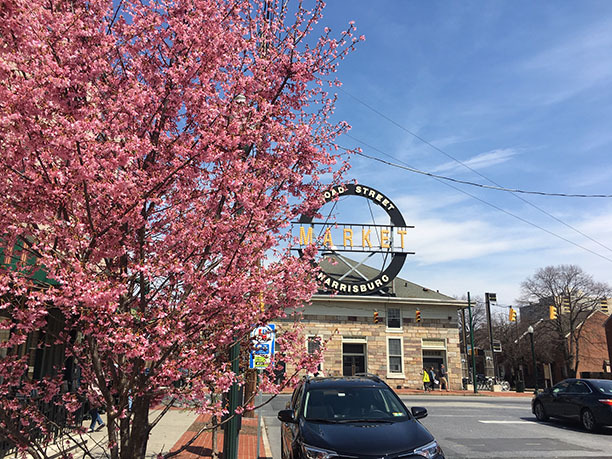 Broad Street Market board of directors hired a new executive director to lead the 159-year-old farmers market. Joshua Heilman bested more than 80 hopefuls to replace Beth Taylor, who left in December after more than three years at the helm. He starts on Tuesday. Click here for the full story. HACC announced a tuition increase and a pay freeze as it approved its 2019-20 budget. Under the $140 million spending plan, students from non-sponsoring districts will pay an average of 2.1 percent more in tuition to attend the community college, and salaries will be frozen for employees earning more than $40,000 per year. Click here for the full story. Harrisburg announced that it began demolition of houses on the sinkhole-ravaged 1400-block of S. 14th Street. Following demolition of the 53 houses, which will take about 45 days, the city plans to grade the area and turn it into green space–a pedestrian pathway with grass and tree plantings. Federal emergency funds covered most of the $6.8 million project, with Dauphin County contributing $1 million. Harrisburg Fire Bureau said that it deployed warning buoys around the Dock Street Dam a month earlier than usual, adding flashing LED lights to the buoys as extra caution to avoid the area. Last summer, a small john boat capsized at the dam, killing a mother and her daughter. 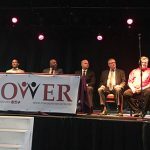 Harrisburg school board candidates introduced themselves to the public during a forum at the House of Music, Arts & Culture (HMAC) in Harrisburg. Seven of the 12 candidates gave short presentations, but none of the incumbent candidates attended. Click here for the full story. Harrisburg Senators kicked off the 2019 baseball season with an 8-4 win over the Bowie Baysox at FNB Field on City Island, powered by a sixth-inning grand slam. The Senators are the AA-affiliate of the Washington Nationals. Harrisburg University announced a new acoustic concert series, which will take place on the patio of Greystone Public House in Susquehanna Township. The “Music and Vines” series kicks off on May 10 with musician Gabriel Kelly. Other concerts include Frank Viele on June 14, Chris Pureka on July 12 and Sean Rowe on Aug. 9. New Cumberland Farmers Market announced that it will open for the season on May 4. The market, which takes place at 4th and Bridge streets in the parking lot of Kelly Financial Services, will operate every Saturday through Oct. 26, 9 a.m. to 1 p.m.
Tracy Mansion soon will be home to 13 market-rate apartments, as the Harrisburg Architectural Review Board approved several exterior improvements to the project. Developer Jack Kay said that his company, York-based Susquehanna Real Estate, soon will begin extensive renovations to the historic Front Street property, with completion expected by year-end. Click here for the full story.